PietraArt, Florida Tile's line of natural stone, offers Polished Travertine consisting of stone with only an "A" quality rating in the five best selling colors for the American market: Light Travertine, Walnut, Picasso, Silver and Scabos. The 3x6, 12x12, 18x18 and matching brick mosaics and 5/8x5/8 mosaics are polished for a crisp appearance and available in all five natural, earthen hues. The tiles are cut from larger stones ensuring that the sizes are consistent and exact. 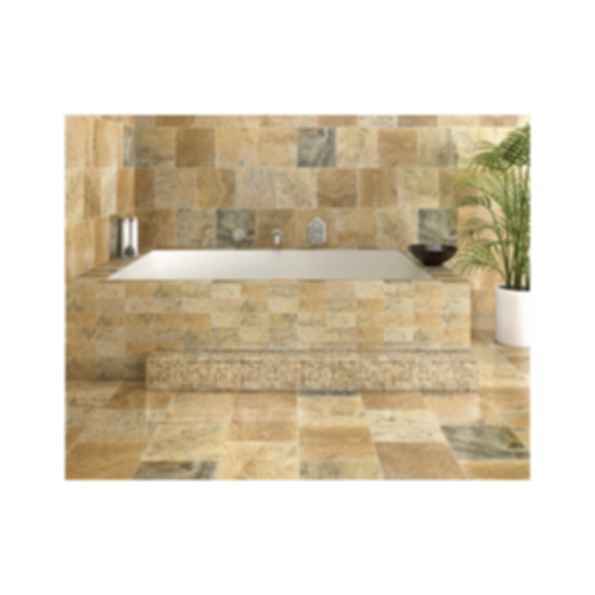 These polished tiles may also be installed with or without a grout joint allowing for a more contemporary look.